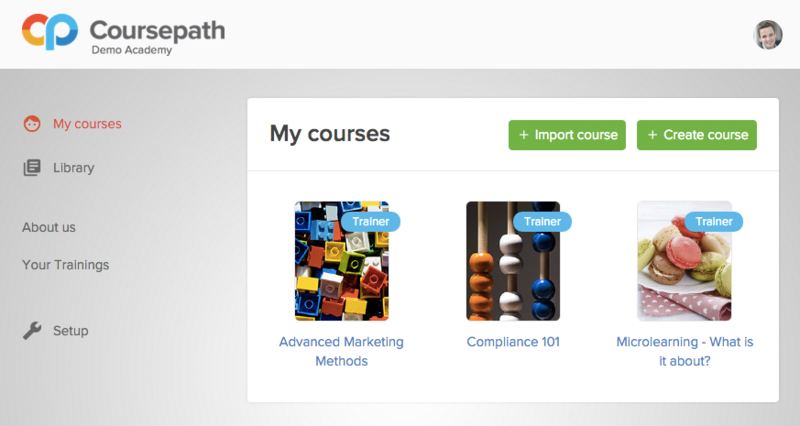 To maintain a flexible and agile training platform, we are overhauling the Coursepath navigation. The most prominent change: the side menu. Here you will find all settings and academy items at a glance. The side menu makes optimal use of available space and is the most intuitive position for navigation elements in modern displays. Items you previously had in the horizontal menu are shortly presented conveniently in a side menu. Logging in to your academy, you find a side menu containing all the academy options, academy pages and your courses. 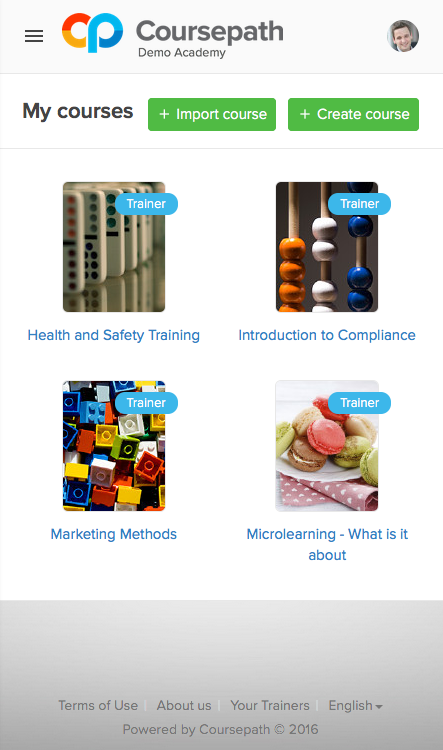 As soon as you access a course, the menu switches to a course specific menu: items like course activities, discussion and reporting are displayed here. Coursepath is 100% responsive, which means that you can access the platform conveniently from any device. To further enhance mobility, we also improved the navigation for small screen devices: On your smartphone or tablet you can now access the menu by tapping on the ‘hamburger menu’. This item is placed in the top left corner as displayed in the below screenshot. You can access academy and course settings via the ‘hamburger menu’ in the top left corner.